Personalized Custom Something Blue Lace wedding garter glitter blue. Need a little sparkle to your garter? No worries! We have you covered! 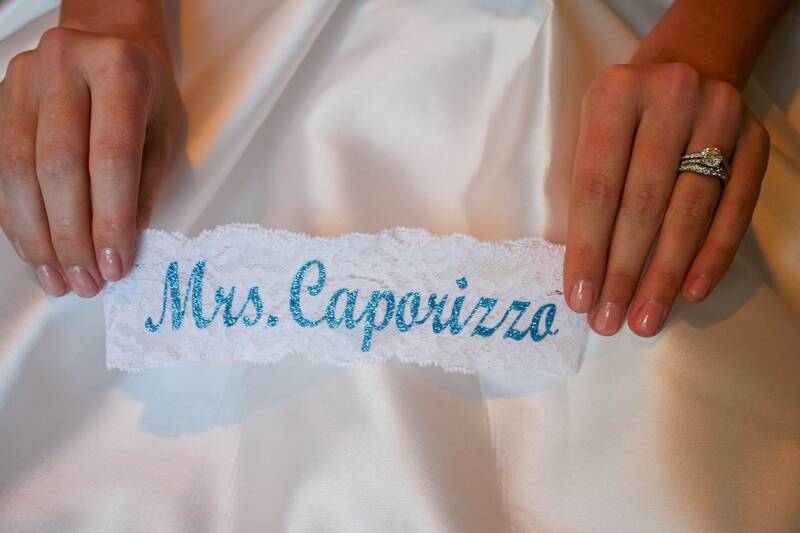 This fun single garter is shown in our turquoise BLUE BLING with your new married name. We also have a few other bling color options if you are not wanting turquoise. Please let us know your new last name in the note section at checkout. PLEASE READ ENTIRE LISTING.